There is a Truth that exists. It is active. Alive. Fighting to make itself known. It's not my truth. It's not anyone's truth. It is The Truth. Brodie Wade has been able to see and interact with it since he was a child, and it has scarred his mind and body. But it also gives him the ability to know things that he shouldn't know by nature, thus he has taken employment as a psychic detective. Can Brodie stop the Angel of Death before he is freed from eternal bonds? This was the first book I bought for my Kindle. While there were several other books I was interested in, they were all priced $7.99 to $9.99 and I just wasn't ready to spend that much on my first digital book. When I came across Death Has a Name I read and enjoyed the sample. At $0.99 the price was right so I made it my first purchase. So what grabbed my attention in the sample? Well, I'm a little embarrassed to admit that part of my decision was based on the fact that I have a cat named Sophie, just like Brodie's cat. The cat in the story isn't just a background character, either - she plays a big part in the mystery. But our cats sharing a name wasn't the only thing that made me buy. I liked the premise of a man who can literally see the "Truth" (it's a nice change from vampires!). Brodie is not your standard paranormal main character, either; he's a little reluctant and not exactly a man of action. Despite that, he's fun to read and not at all boring. I liked his relationship with Phil, the police detective who Brodie assists on cases and who is his biggest supporter. I don't have much negative to say about the book. There were a couple of typos but nothing major. The story seemed a little short while I was reading it but it didn't feel incomplete. 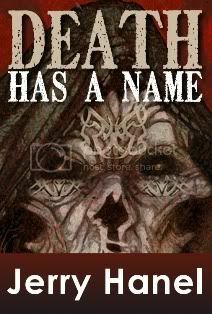 If you're looking for a different sort of paranormal story to read, you can't go wrong with Death Has a Name - especially at the $0.99 price!